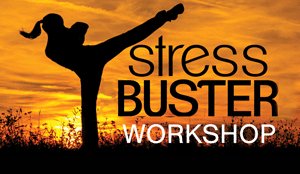 This stress buster workshop is designed to help you learn how to Dissolve Stress and use the power of Hypnosis and Meditation to Create the Powerful Life That You Desire! YOU WILL come out of this workshop feeling relaxed, empowered and recharged! Learn what it takes to take back control of your life, change how you think about stress and use the body’s own stress response to empower your inherent greatness within with the help of hypnosis! Dress comfortably and be prepared to be super relaxed. Please arrive about 15 minutes early so we can make the most of the time we have together. Pre-registration required. Take back control of your life by clicking HERE to secure your spot at this life-changing event! Limited seating, so register soon! To learn more about Lindsey, click HERE.